The excitement is killing me!! Atlast I am happy the wait is soon over. I mean! Pheonix devotions?!?! Thunder god devotion!?! Sadly the first toon I will take up in the expac has nothing to do with either of those devotions, but I plan to start completely from fresh a hc occultist/necromancer based on vitality/poison damage - I know some of those vitality devotions are very suited for hc since you basicly require no gear in order to use them - haha but it should be very fun regardless. Oh I really like that poison bomb thing that necro has, reminds me of D2 necro poison nova sort of. i also have my plane about what i'm goin to roll first. It makes me even more anxious to put my hands on the xpac. Last edited by durruti; 09-13-2017 at 08:50 PM. My bet is the Wendigo faction. Why is it that some of the items they have shown add skill levels between not just 2 classes, but 3? Or is this the sign. The sign of 3. There are some other possibilities. 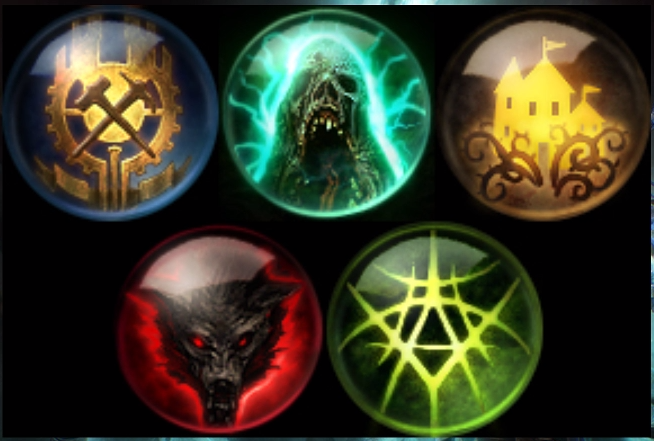 Here is one: The names of some kills GD has listed for inquisitor and necromancer will change fundamentally, and their present names will be used to either (a) rename preexisting abilities of the original classes or (b) create new abilities to the original classes (with those names). Last edited by sudhirking; 09-14-2017 at 07:38 AM. They're tri-class items. For example, if an item gives +1 to soldier with +3 to flame touched and +3 to solael's witchfire, it's designed to be used by both commandos and witchblades. Items have to be tri-class because as new classes are added, the number of dual class possibilities increases exponentially. Accordingly, it's not very feasible to design numerous items in all equipment slots for every dual class combo; there has to be some overlap. Agree about the icon not having any Wendigo vibe. But when you go to the past dev's streams, Zantai is running through his magical room that has all the game items on the floor, including expansion items and relics. Of course there are also faction items, the new names were "Coven", "Malmouth" and "Wendigo", both normal and elite versions, so it's almost a confirmation. Playing the guessing game here, but maybe it will be a lone hermit-shaman faction, living in castle ruins that you can befriend or kill him/her and take the treasure he/her has gathered? Just like in Anasteria's case, there will be pro's and con's of doing one or the other. Well I hope it is a Wendigo Faction, I like the general idea. And thanks for the info.